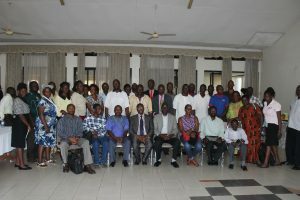 In a bid to support the development of SMEs in the country, Uganda Investment Authority identified and sensitized a multi-sector group of SMEs in the greater Mukono region on 28th November 2017. This was to inform them of the various SME services offered at UIA and also to identify the challenges faced by these SMEs in the day to day running of their businesses. It is against this background that UIA carried out an entrepreneurship/business training for 50 SMEs aimed at solving the identified challenges that include among others; poor book keeping methods, limited access to finance, limited market for their products, lack of proper business plans among others. In addition, there were sessions on standards and certification of products as well as public procurement procedure and requirements. Basil Ajer, the Director SME Division reiterated UIA’s commitment to supporting SMEs. “UIA’s Strategic Plan 2016-2021 has a robust SME development strategy, complete with application of Science, Technology and Innovations (STEI); for industrialization, employment/wealth creation and inclusive development of all regions in the country. 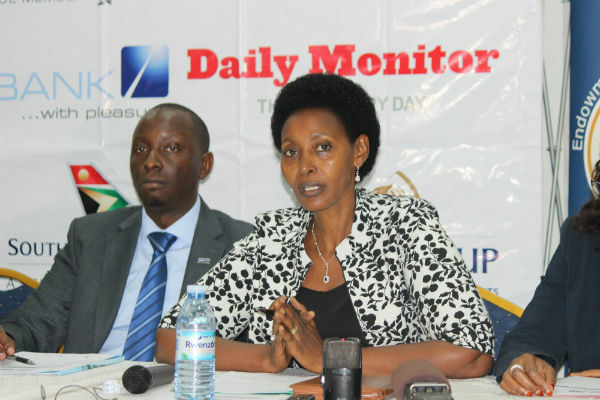 Mukono district was selected as the pilot to enable the identified business community benefit from such government programs,” he said. This initiative is going to be rolled out to the different regions of the country to ensure balanced SME development and also provide a platform where these SMEs can be linked to the bigger companies through business to business linkages for growth, survival and sustainability. About the SME department at UIA This division was formed as a result of The Presidential Investors’ Round Table which identified the SME sector as one of the key drivers to growth, employment and social transformation of the country. The division supports and facilitates the development of SMEs who are majorly domestic entrepreneurs.